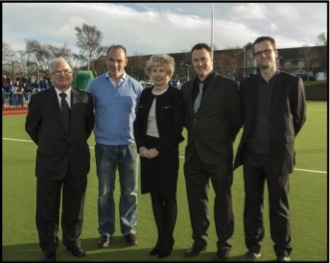 Sports Labs attended the formal opening of the Shankill Indoor Tennis Centre in Dun Laoghaire yesterday. The 1.6m euro semi ridged structure accommodates 4No. Full size tennis courts to Davis Cup spec. 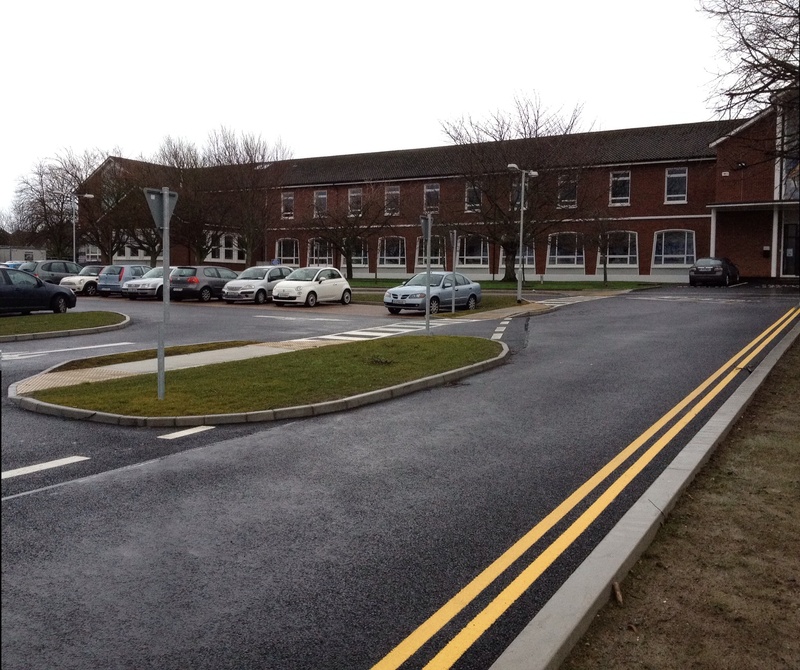 Eoin O'Brien DL&R Council met with me onsite in 2011 to look at a boggy low lying area - we discussed the vision he had to locate a top quality facility on that patch of land! Fast forward to 2016 and we were lucky to be the first to strike a tennis ball onto this high tech cushioned acrylic surface. 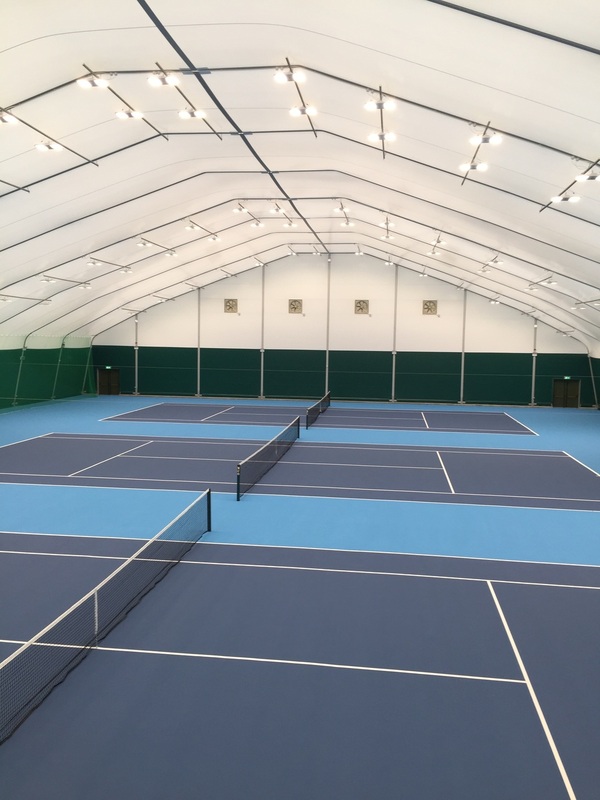 This facility will enhance tennis in the south Dublin area as the all year round protection the structure affords to players will sure allow the sport to flourish. 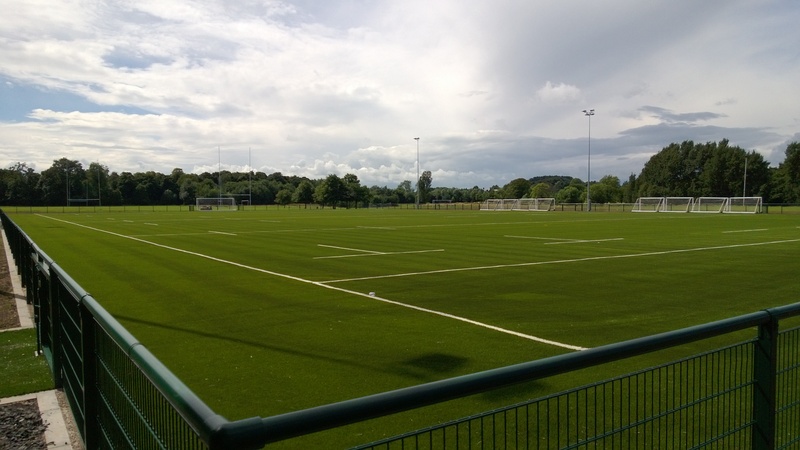 The main contractor T. Pearse & Sons Ltd performed well with the difficult ground conditions and produced a fine end result. 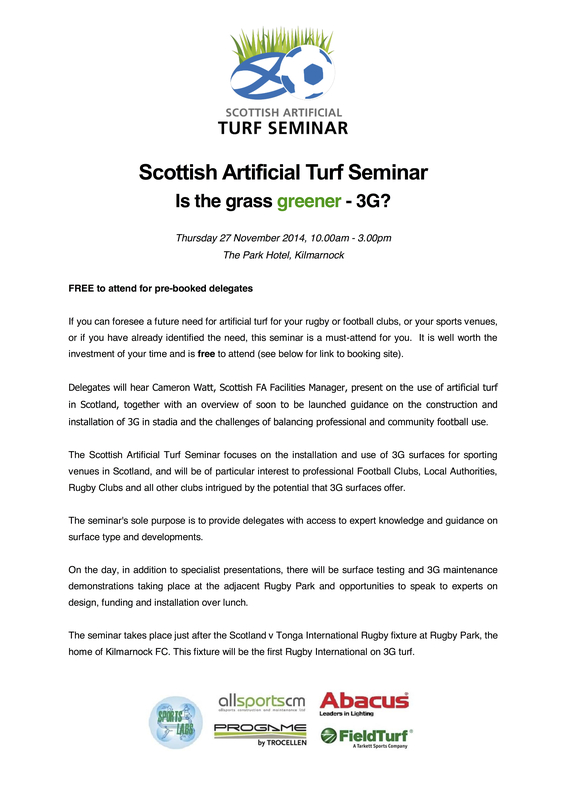 The Club held a seminar regarding the project to inform other interested Club of their experience a great way to open the facility. 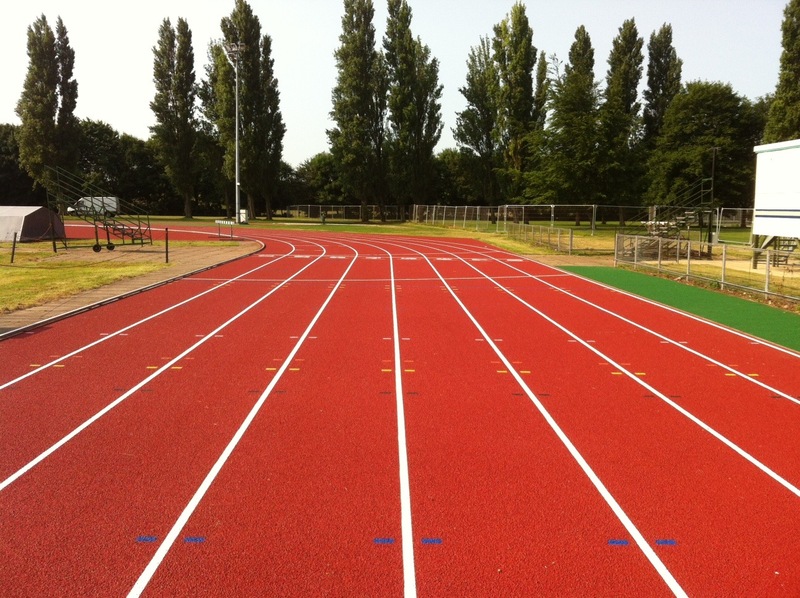 Peterborough Embankment Athletics Track; get's a facelift with Sports Labs help! 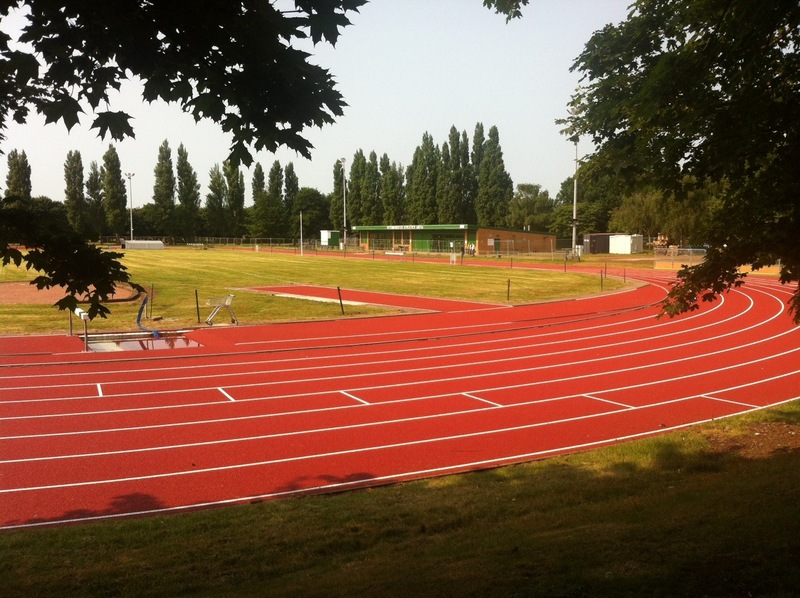 Peterborough Embankment Athletics Track A major refurbishment of the Embankment athletics facility was commissioned by Peterborough Council to bring the facility up to modern standards. The facility is managed by Vivacity Peterborough on behalf of Peterborough City Council, who actually funded the project. 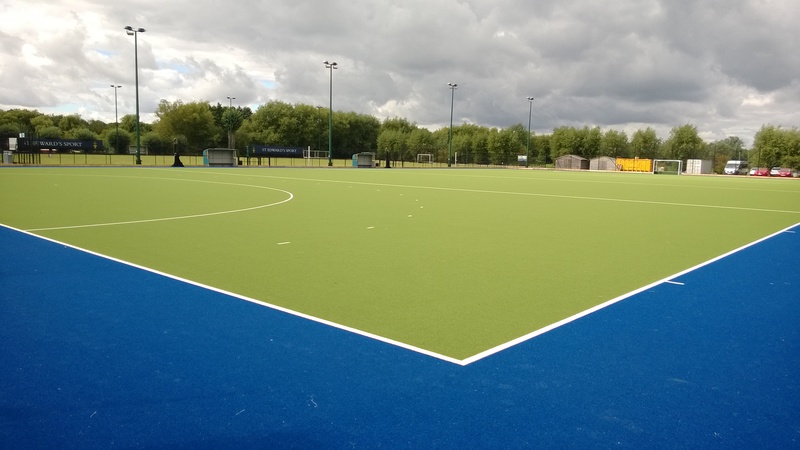 Sports Labs provided specialist consultancy services to Peterborough Enterprise to assist in the management of this project. 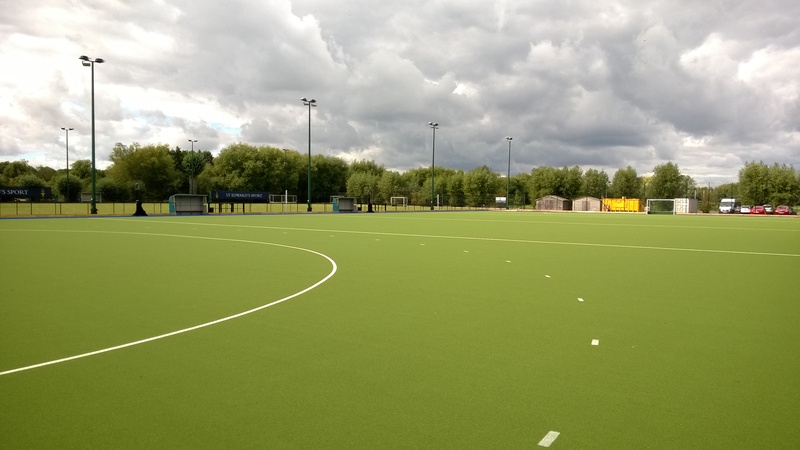 Following a tendering process to SAPCA approved track builder members, Blakedown Sport and Play were awarded the contract. The works included adding new training straights, modifying and refurbishing the long/triple jump facilities dealing with run-off from embankments on the home straight together with the replacement of all the polymeric surfaces on the track. As with most ageing facilities you are never quite sure what you will find when you remove the old track surface and that was the case here; we found a very poor substrate which required a lot of work to make sure it complied with modern athletic requirements and was durable (future proof). 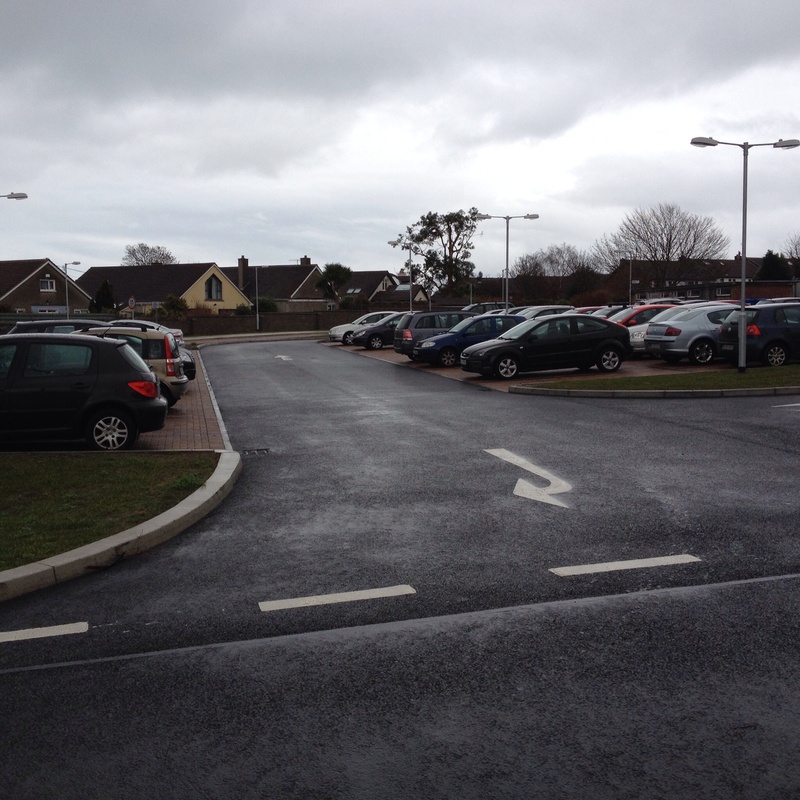 The works in general were delivered smoothly and generally to programme albeit the early weather in spring was very cool to say the least and most importantly to budget. The track has a thriving club network and this refurbishment puts the facility right back in the frame as regards athletics in the heart of the Cambridgeshire, Rutland, Lincolnshire and Northamptonshire borders. We are looking forward to seeing the athletics results of this investment in years to come. 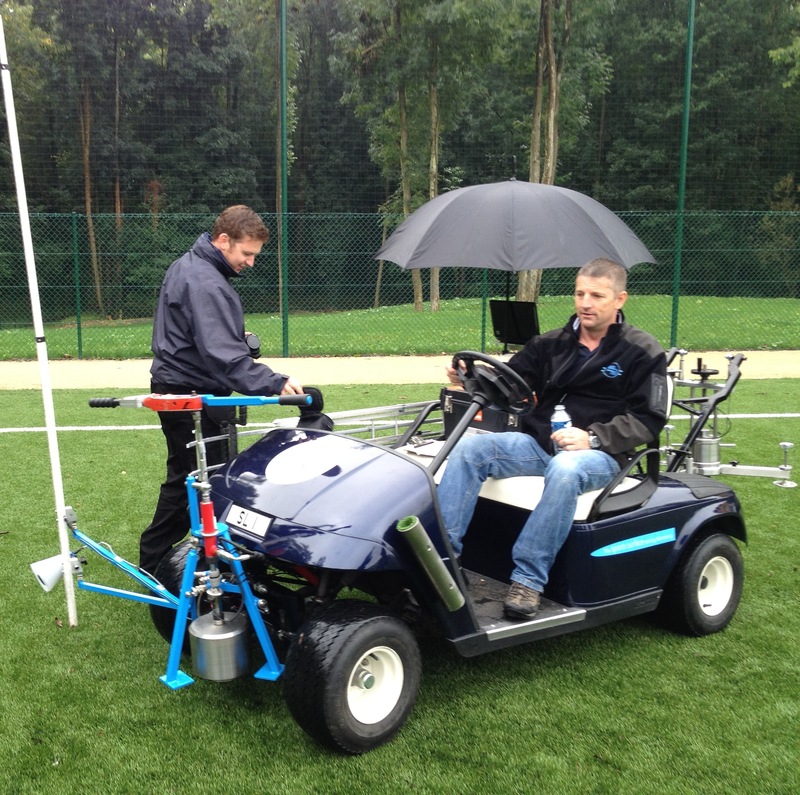 Sports Labs chose the recent FIFA round robin to launch the next big thing in sports surfaces testing equipment. 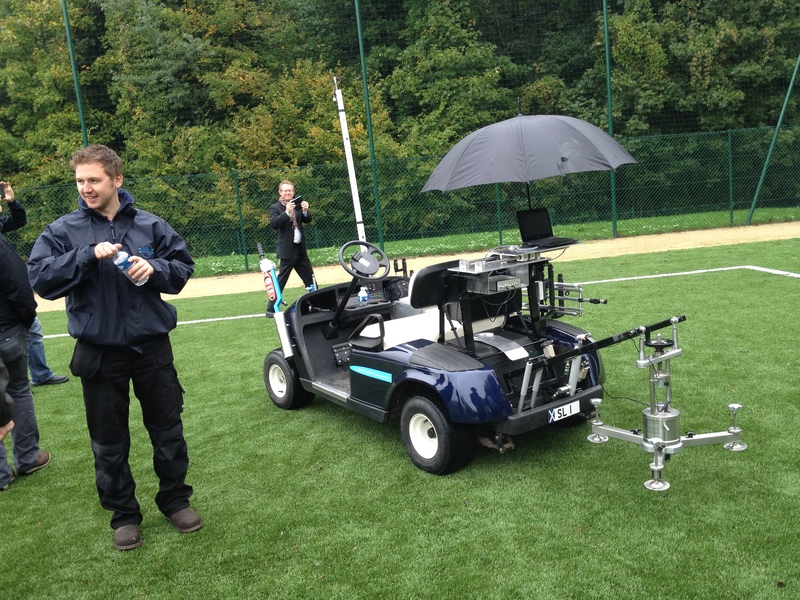 The 'buggy' as it has affectionately become known places all the major items of sports surfaces testing equipment onto a battery operated buggy. Powered by the internal fuel cell on the buggy all the equipment is automatically placed and retracted via a unique hydraulic ram system which not only supports the kit but is extremely consistent. The kit has already proven its self to be faster, more accurate by reducing operator influence and produces consistent results. Here Keith and Richard show off the kit to our friends from the other FIFA accredited Test Institutes. To say it went down a storm is an understatement - every Lab should have one!